Finding the right lift kit can be a very tedious process. We only carry lift kits manufactured by the top makers. Find a Madjax, MJFX, RHOX, All-Sports, or Jakes lift for your Club Car DS, Carryall, or Precedent golf cart. Please contact our sales staff to find the kit that will work best for your application. Also take a look at our packages in tires and wheels to save even more money. 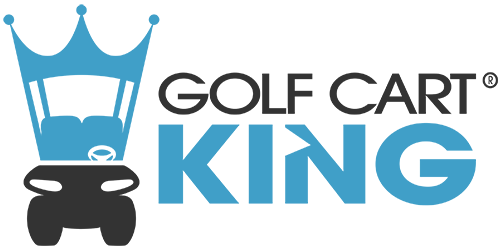 WHY GOLF CART KING ONLY CARRIES THE BEST! Jakes- American craftsmanship at its finest. The TOP SELLING lift kit in our industry is manufactured by hardworking American workers which is one reason we not only recommend thier products, we would install them on our personal carts. Madjax- An innovator in the golf cart industry and a top quality manufacturer of products that last. These lift kits are purpose driven and give your golf cart a ride that is similar to your automobile. Madjax lift kits are mainly needed if you plan on doing XTREME off road driving because of their A-Arm design. RHOX- A budget friendly lift kit that performs like the best but COST LESS. RHOX spindle lifts will lift your cart to new heights and allow for smooth operation on less aggressive terrains. The BMF lift kit is exactly that, "Bad Mother Freaker". It would be needed if you plan on doing serious off-roading. All Sports- Another American Made lift kit that uses the finest quality components for an ultra smooth ride. All of these lift kit brands are great and thats why we only carry them. They have all been tested, proven, and installed on thousands of golf carts around the world.